We are a full service Real Estate Agency servicing Northern Palm Beach County including; Jupiter, Tequesta, Hobe Sound, Palm Beach and Palm Beach Gardens. I can help with all your Real Estate needs from rentals, sales,land and investment/commercial property. 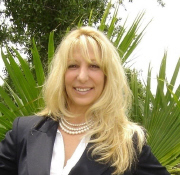 I am a full-time licensed Real Estate Agent living and working in the North Palm/Jupiter area. I have an extensive Professional Resume with prior experience in Mortgage Services and Management. My goal is to establish personal relationships with my clients, putting their needs first to offer outstanding client satisfaction. FL Licensed Real Estate Agent, Member JTHS Association of Realtors, Member Regional Multiple Listing Service, Accredited Buyers Representative JTHS Ethics and Orientation Certification, Certified 1031 Starker Exchange Agent, JTHS Professional Achievement Award-2004, TechVantage Certification.